These Buffalo Chicken Salad Bites are so full of flavor and seriously take no time to throw together! 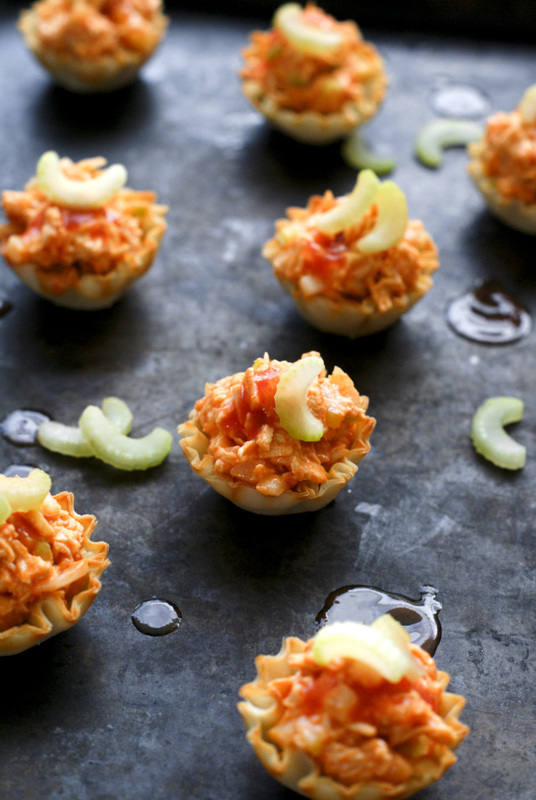 They are perfectly bite-sized, spicy little bites of buffalo flavored chicken salad served in light and crisp phyllo shells. I betcha can't eat just one!